Download and install Windows 7 Password Genius on an accessible computer. If the password was not created earlier than it is necessary to create a Microsoft account with a sign in login and pin. At this time, you can get the computer run as you want. Step 3: Type net user in the command prompt window and press Enter. You can read the documentation to learn how to use it. Look at the password hint, and try to recall your password from it. Follow the detailed instructions he gives and if the password is not too long or difficult, it should be able to crack it! Guide Steps Reset admin password in Windows 7 without any disk Still can get into Windows 7 system? All you need to be concerned with are the questions at the bottom of the screen. See how you can change the boot order. Borrow one from your friend or colleague. This article has also been viewed 942,646 times. Press enter after you put the password. Here in this article will show you six tips to. And now you can login your Windows without password. Then what I can do is to find ways that can reset Windows 7 admin password. It allows you to create a password to secure your user account. If there are no other user accounts on the computer, you won't be able to log on to Windows and will need to re-install Windows. So I try them and see which is the best way for me. He is very passionate about blogging and his area of interest are Bikes, Web Designing and keenness to learn Ethical tricks as well, Find him on. 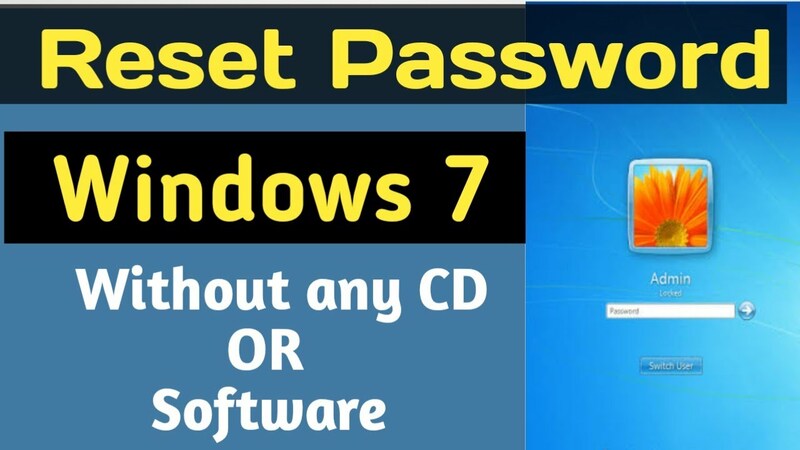 So now without making the prolong the session for how to hack windows 7 password lets move to the next paragraph of procedure that how to bypass windows 7 password without cd. The program was recently updated after four years and now supports cracking passwords all the way up to Windows 8. Select Windows 7 system and a user account that you hope to reset password in the user list, then click the password reset button to reset the password. Lost your windows password or want to hack your friends computer or want to hack your school computer? In addition ,i trully enjoy most of the posts and your different point of view. No doubt, many ways can help you remove or recover the lost password, But here,I will show you how to without any software. You'll need to press this key before Windows loads. 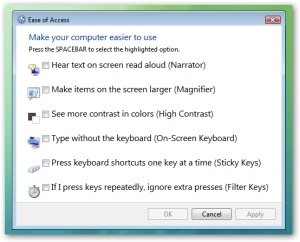 Easy Ways to Bypass Windows 7 Ultimate Password Password is used to protect personal information on computer. How did you deal with it at last? It was a fairly long and complicated process, but it worked. They are the least secure and make your sensitive private data vulnerable. To operate the windows 10, reset the password. After these steps you are successfully crack your forgotten Windows 7 password with this excellent tool. Again just hit Enter as we want to head to the Reset Password section Step 5 You will now see the accounts on you computer, and the program will now ask which one you wish to edit. This step is very important, choose Windows installation disk. 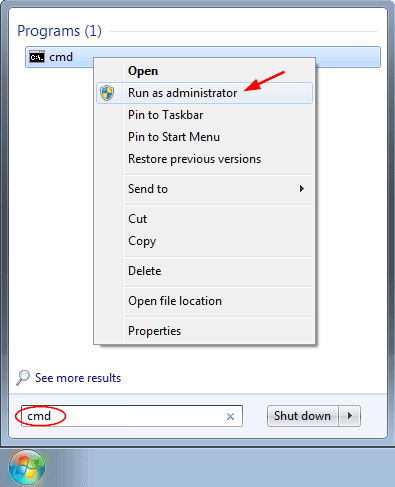 Tip 1: Reset Windows 7 admin password through Command Prompt 1. Everybody has his or her self-privacy and we have our rights to protect it. For local accounts: If you must crack the password there are a few options, there's the old Ophcrack which is easily utilized via Hiren's, and also has konboot and winpass I believe. 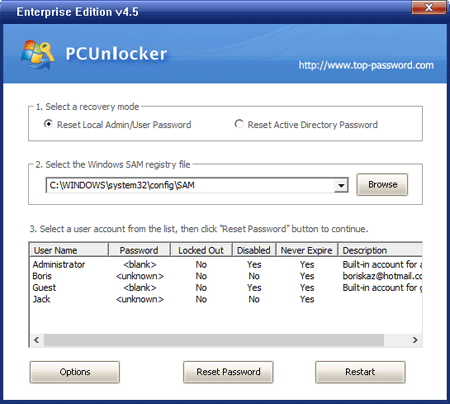 So here I suggest another easy-to-use Windows password recovery tool - Windows 7 Password Genius. A lot of kernel messages about your hardware and such are outputted. Find out the login user in the list of user accounts and replace the login password with it. Revert your Command Prompt changes. 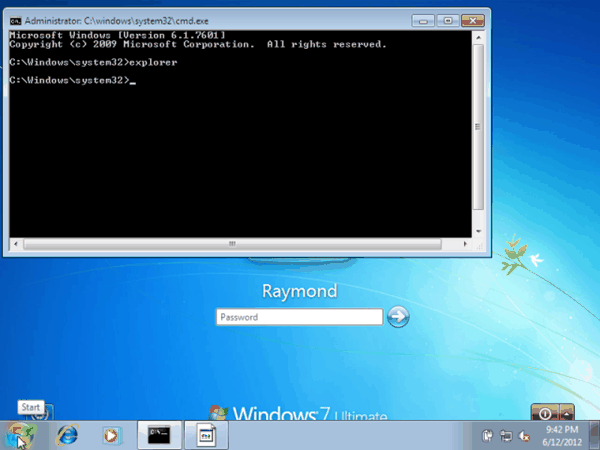 Here I am disclosing you a very simple and quickest method for hack windows 7 admin password. Step 16: close the open window and notepad. I did this in Windows xp and its working fine and you dont need to add administrator id on it because administrator already has access on it. In this tutorial, I have given you every single brief which I thought of significant to hack windows 7 admin password. So whether you have encountered such a problem? You will enter their user id and password and you will be logged in the current user session. Sorry I can't upload pictures my phone won't allow me. At this moment, I think only powerful third-party software could help you without damage. Then you will enter into doc Command as following. Even if you don't have to reset a forgotten password now, you should get acquainted with this issue. Click on Proceed, and then reset with the new password on the text box. My buddy over at the How-To Geek site has a great tutorial on. Note To do this, there must be a System Restore point at which the logon was successful. Step 9: Scroll down to the last bottom page. 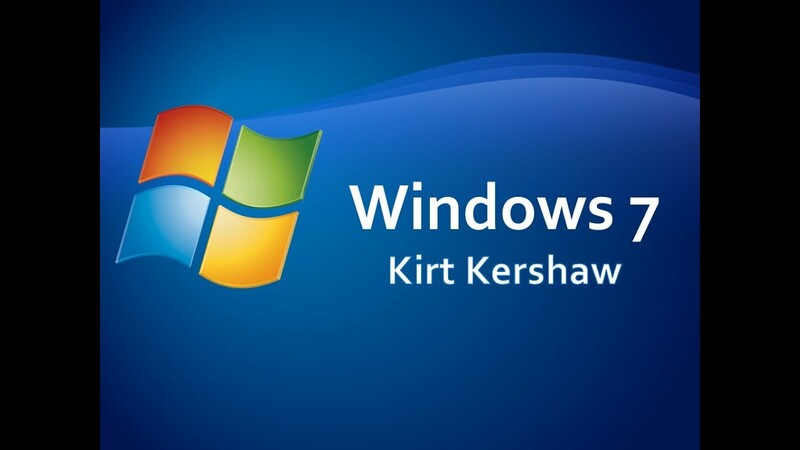 Then more details about resetting Windows 7 password, please refer to. No mather how,when you realize you have forgotten password,you may try everthing you could do as there are many works waitting for you.